With the increase of upper level wind speed, Southwest Monsoon is all set to strengthen and revive after a short break. Heavy rains are likely over South Konkan, Coastal Karnataka and Kerala. Isolated showers are likely over Tamilnadu. A low pressure area is expected to form over Northwest Bay of Bengal, and expected to move Northeast towards Bangladesh coast. Chennai – A bright day with temperature around 37/38C with chances of thundershowers in the evening. Vellore – A day high of 38/39C with good chances of thundershowers in the evening. Trichy – A day with max. temperature of 37/38C. However, chance of thunderstorms cannot be ruled out. Madurai – A day with temperature hovering around 38C with chances of rain. 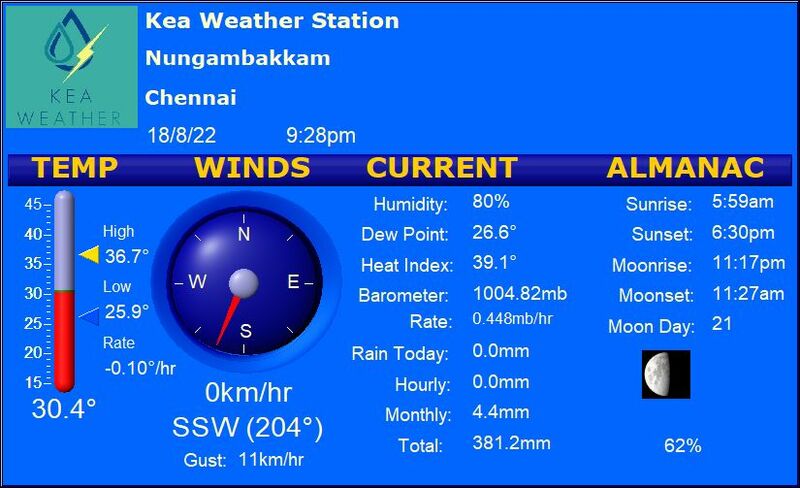 Coimbatore – A cool day with temperature around 32/33C. Medium to heavy rains likely.